Have questions about foster parenting? You’re in the right place! Here are answers to 5 questions we frequently receive from people who want to help children in foster care. I am interested in becoming a foster or adoptive parent. What do I need to do first? Your first step is to contact us! KVC West Virginia is a nonprofit organization that cares for children in in several counties throughout the state. When you fill out our short form, we will notify the foster parent recruiter for your county. He or she will reach out to you by phone and email within 24 hours to help you start your journey. 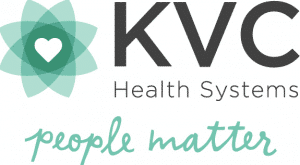 Before a child is placed in your home, KVC gives your family the tools and training needed to ease the transition, ensure a positive stay, and help the child adjust to life changes. Continuous training is provided to make sure you have the skills necessary to meet the child’s needs. Sign up for one in your area by contacting us today. After you complete training, we will complete the licensing process with you. Once you receive your foster parenting license, you will be able to welcome a child in foster care into your home. How Long Does a Foster Family Care for a Child in Foster Care? The amount of time a foster family cares for a child in foster care varies from a few days to a couple years. On average, we safely reunite most children with their families within 12 months, and thus the child’s time in foster care is less than one year. More than half of children who enter foster care are safely reunited with their families. If reunification is not possible due to safety concerns, we will look for an adoptive family to provide continued care, love and stability for the child. It is common for children to be adopted by their foster parents because they have bonded, but every child’s situation is different. Can I foster children and work full time? Yes, many foster parents successfully work full-time jobs while caring for children and teens in need, and daycare is covered as well. Contact your KVC care manager for a list of approved daycares in your area. Can I choose which children I care for? Yes! Foster parents can specify the age, gender and number of children they are willing to care for and if they are able to care for a child with developmental and/or intellectual disabilities or other special needs. We call you and tell you more about the child’s needs, and you have the opportunity to decide whether you can provide care for that child. The foster parent training and licensing process is provided at no cost to foster parents. While foster parents volunteer their time to care for a child in foster care, KVC provides a small daily subsidy to support the needs of a child. Each child receives a medical card when they enter foster care, and some children are also covered under their family’s private insurance. Clothing allowances for all children and childcare for those qualifying are also important benefits. Your KVC care manager will assist as able with items such as back-to-school supplies, holiday & birthday gifts as well as other individual needs. Click here to download a FREE guide.